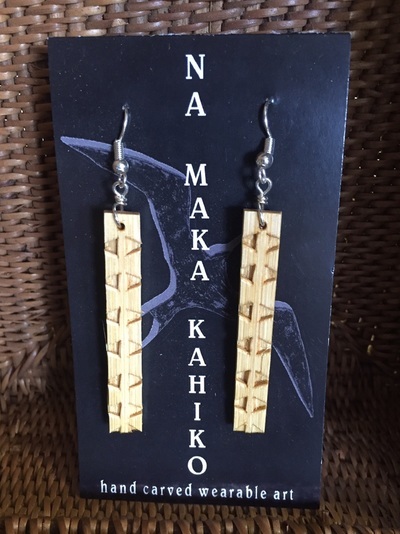 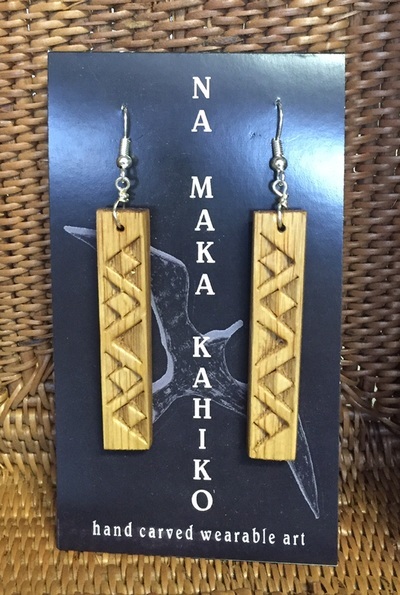 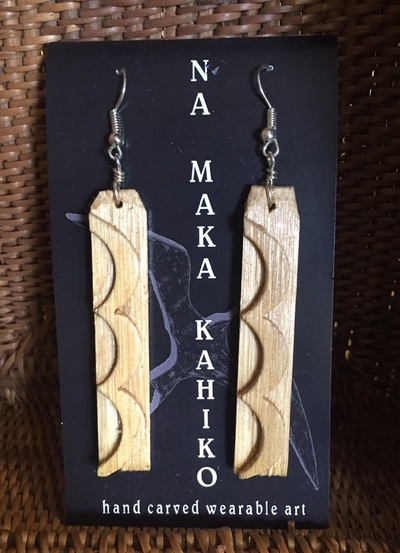 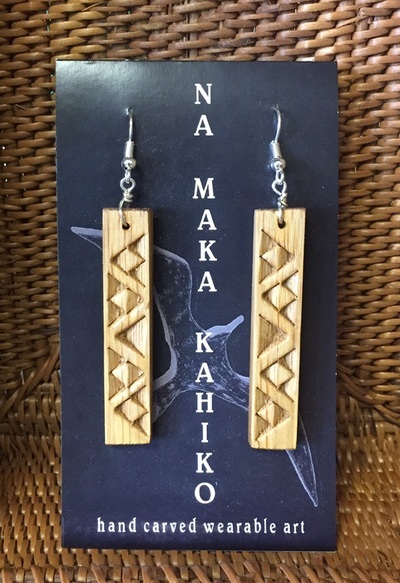 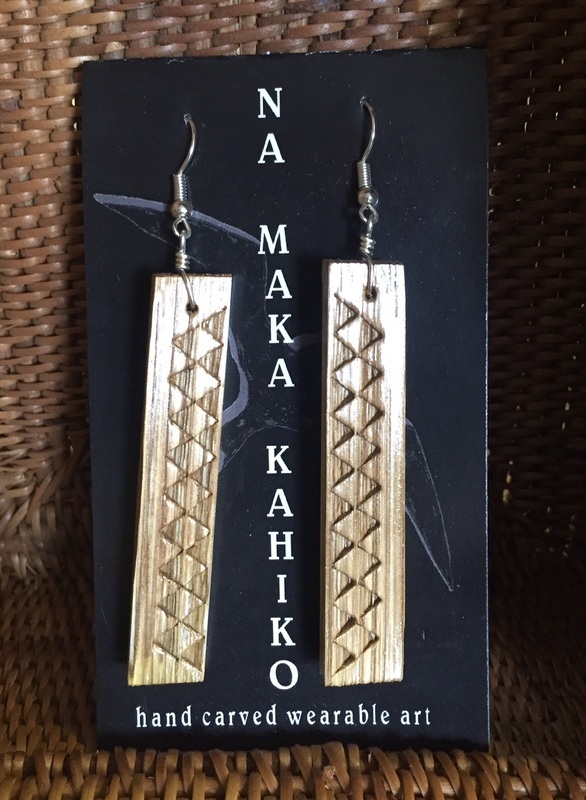 These exquisite hand carved earrings feature traditional Hawaiian symbols. 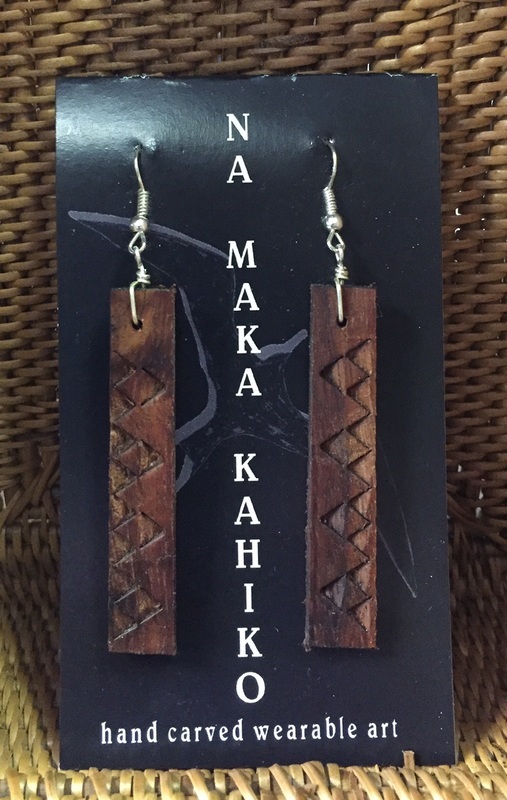 They are carved from koa or bamboo, both grown in the islands. Each one is hard carved, never machine tooled, but a highly skilled craftsman on the island of Oahu. 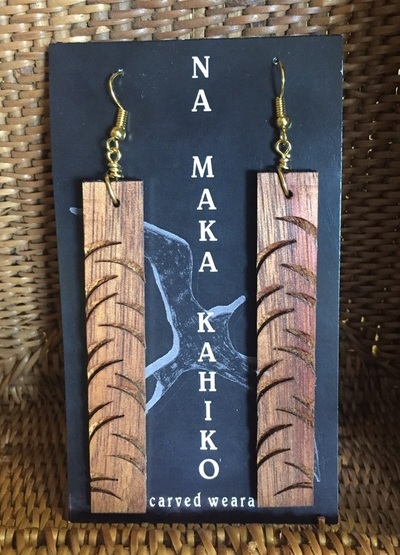 Each pair is a unique work of art.